Did you know you can book our space for private events? Our intimate cafe is the perfect backdrop for dinner parties and wine tastings. Added bonus: Our owner Karen is also a certified sommelier and can curate a tasting for any budget. Let us come to you! Indulge in a customized dinner menu, take the stress out of your next cocktail function or impress your guests with one of our signature Harvest Tables. All boards include traditional condiments, dried fruit & pickles. Inquire about our Signature Grazing Tables for a distinctive and memorable touch to your next event. 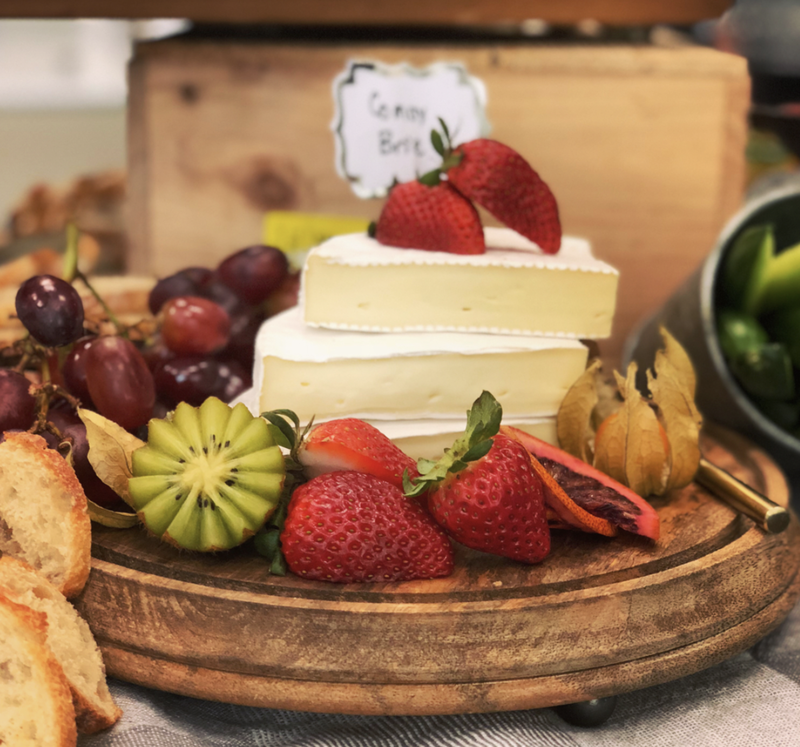 Complete with our house-made charcuterie, artisan cheese, antipasti, seasonal fruits, vegetables, house-made dips, freshly baked breads and smoked nuts & olives. Starting at $15 per person. Our bread is baked fresh daily so we kindly request 48 hours notice for all catering orders. Delivery available, charges may apply. Customized Menus Available for Special Requests. Dietary restrictions and allergies will be accommodated with advance notice. All private caterings will be subject to an automatic gratuity of 18%. Call (403) 244-0570 between 9am and 5pm. Call (403) 244-0570 to order catering for an event or book a private party.